Marshall's Farm Natural Honey offers a large selection of organic honey for wedding favors and party gifts, coming in a variety of packages and tasty organic flavors. 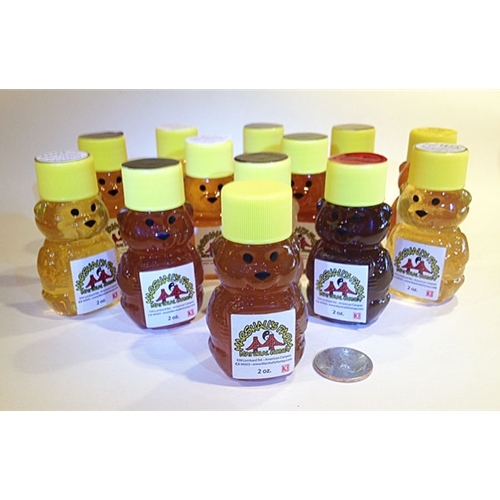 Order single honey jars for a specific individual or grab a few party packs to share with multiple guests. The choice is yours! From Marshall’s Farm natural and organic 2 oz. honey jars to 3 oz. sampler packs, we have what you need and more. To learn more about our organic honey for wedding favors and party gift packs, click through the products below and do not be afraid to contact us if you further questions.